Shunfeng, a professional manufacturer and distributor of fasteners, provides quality products directly to contractors, steel fabricators and other construction-related companies all over the world. No matter they need a standard hex bolts, or blind rivets when the opposite size of the base material is inaccessible, they will find the solution at Shunfeng. 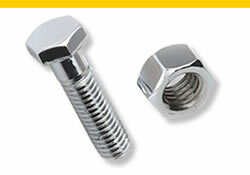 Wide range of bolts including hex bolts, tap bolts and countersunk bolts is available for general fastening purpose. Meanwhile, hex nuts, fully & partially threaded rods can also be offered by Shunfeng. Various anchors including drop-in anchors, sleeve anchors and strike anchors in a variety of sizes, materials and finishes are available for easy anchoring into concrete, masonry, brick, block and other similar materials. Self-drilling screws, with fully threaded or partially threaded shanks, allow for easy installation by integrating drilling, tapping and fastening processes into one. While blind rivets permit single-side installation at any angle. 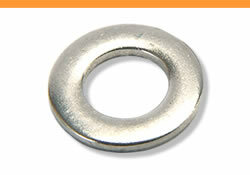 Two main types: flat washers and split washers are offered for different applications. Flat washers provide large bearing surface for load distribution. And the split washers are used when vibration is a big concern. 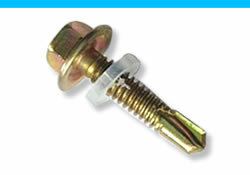 Each and every fastener is made from quality material under strict quality control. In addition, these products are gone through strict quality test before shipping. What Shunfeng does is to ensure the fasteners you bought will perform meet even beyond your requirements. Shunfeng provides the largest selections of hex bolts, hex nuts, anchors and threaded rods on the website. 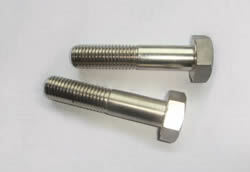 All these fasteners are available both in carbon steel or stainless steel. Upon your request, they could be plain, clear zinc plated, yellow zinc plated or oxidation treated for added corrosion resistance and longer lifespan. 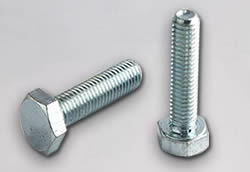 All the fasteners supplied by Shunfeng are high quality, yet at competitive prices. As the largest fastener manufacturer, Shunfeng can buy the same material at a lower price. Meanwhile, located Hebei, China, Shunfeng is near to coal and iron factories for a lower transportation cost. And we transfer these savings to our clients by providing a more affordable price. Shunfeng has professional service team waiting on line for answering all your questions about the products and reply your email as soon as possible. In addition, Shunfeng's specialists are available to help you select the optimal fastener you desired for specific applications. Hex bolts, made of zinc plated steel or stainless steel, are available in diameter from 6mm to 24mm and ideal for construction and repair. 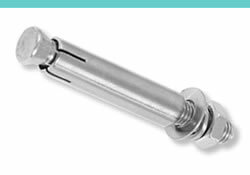 Tap bolts, with hex heads and fully threaded shanks, are extensively used in boat building, exterior woodworking and water treatment areas, etc. 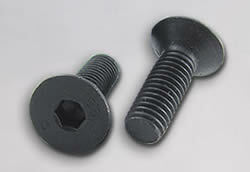 Countersunk bolts, made of grade 4.8 and 8.8 steel, are available with slot, cross and hex holes in their heads and used when a flat surface is needed. 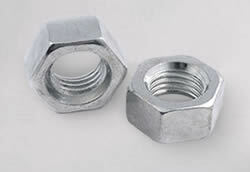 Hex nuts, matching with hex bolts, are made of quality low carbon or stainless steel, are available in standard, heavy type, jam and panel types. Bolts, nuts and other fasteners can be made from normal or stainless steel which have different ingredients for different properties. RSSCopyright © SHUNFENG HARDWARE PRODUCTS CO., LIMITED.Add: Cross of Zhongxin Street and Daqing Road, Taocheng, Hengshui, Hebei, China.